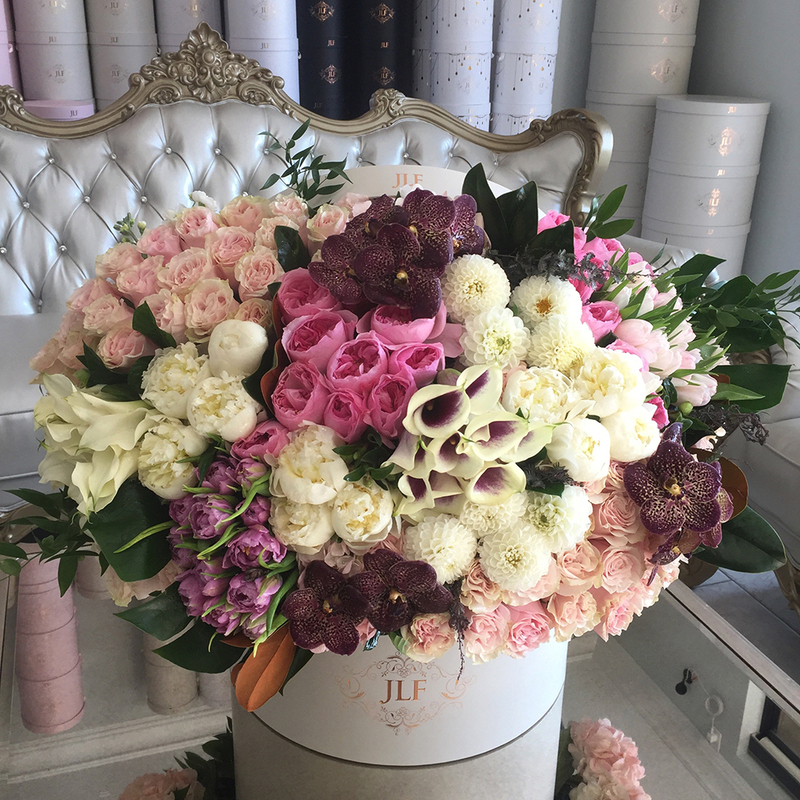 This breathtaking arrangement has a variety of our favorite flowers. Blush pink Mondial roses are paired with darker pink garden roses and carefully put next to lush peonies, calla lilies, tulips, dahlias and tropical green leaves. On top we've laid gorgeous Vanda orchids for the extra lush feel. The arrangement in the image is in the Grandiose box.